Oregon’s open government laws promote democracy and transparency. Oregonians have a right to know how their government works and spends money. This page will help you understand and exercise your right to access government information. In 2017, the Oregon legislature passed significant improvements to public records laws and created the Oregon Sunshine Committee to help make sure the laws are working. Its work includes reviewing the hundreds of exemptions that can keep government information out of public hands, with the goal of creating a more transparent government (see Oregon Sunshine Committee). Every two years the Attorney General updates and publishes a Public Records and Meetings Manual to help state agencies, local governments and the public. Oregon law contains over 500 exemptions to the disclosure of public records. The Attorney General maintains a publicly available catalog of Public Records Exemptions ». This searchable catalog includes for each exemption the full text, a brief description, the affected agencies, and particularly significant appellate cases and public records orders. The catalog serves only as a guide, and does not have any legal effect. You may submit a public records request electronically to the Oregon DOJ via the Public Records Request form ». Or you may submit a request by email, mail or fax. For information about your child support case, please visit Child Support Case Records ». If a state agency has denied your request for public records or your request for a fee waiver or reduction, you may ask the Attorney General to order the agency to provide the records or waive or reduce fees. To do so, submit a Petition for Public Records Order form (PDF) ». The Attorney General issues Public Records Orders in response to appeals from state agencies’ public records decisions. Many Public Records Orders are available from the State of Oregon Law Library ». With a few exceptions, all government records of any kind are considered public records. A public record is any writing with information about the conduct of public business that is prepared, owned, used or retained by a public body. Who is subject to Public Records Law? The law applies to every public body, including every state officer, agency, department, bureau, board, and commission, as well as every county and city governing body, school district, special district, municipal corporation, or any board, department, commission, council or agency thereof. You must make a public records request to the government agency or official who has or controls the record. You may submit your request in writing, including email. All public bodies in Oregon must have a written procedure for making public records requests. 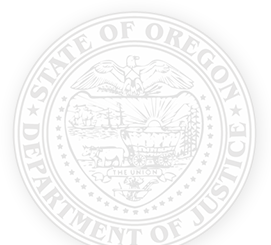 You may submit a Public Records Request » electronically for records in the possession of the Oregon DOJ. Can a government agency charge citizens for copies of public records? Public agencies may charge a fee to recover the cost of fulfilling a records request. You may be required to cover the costs of compiling records up front. Fees are sometimes waived or reduced if doing so is in the public interest. You can appeal a public agency’s refusal to waive the fee. Are all public records subject to disclosure? Most public records are subject to disclosure, but there are exemptions. Records related to an active criminal investigation are exempt from disclosure until the case is resolved. Confidential communications between government officials and government lawyers are also exempt from disclosure. Public agencies that deny public records requests must show that their denials are consistent with the law. For a list of exemptions and a discussion of their application, visit the Attorney General’s Public Records and Meetings Manual. What can I do if a government agency denies my request for public records? If a state agency has denied your request for public records, you may file an appeal to the Oregon Attorney General using the Petition For Public Records Order (PDF) ». Denial by a local government must be appealed to the county District Attorney. If your appeal is denied, you may file a lawsuit challenging the ruling in Circuit Court. What can I do if my records request is denied by an elected official? If an elected official denies your request for public records, you cannot appeal to the Attorney General or District Attorney. To challenge the decision, you must file the lawsuit in Circuit Court. A public meeting is any meeting conducted by a state, regional or local governing body to decide or consider any matter. What agencies are required to hold public meetings? The public meetings law applies to the governing body of any state agency, regional government, city, county, school district, special district or municipal corporation. It also applies to their subcommittees. What are the notice requirements for public meetings? A governing body must give appropriate notice to inform all interested parties about the time, place and agenda of public meetings. Can public meetings be conducted by telephone or other electronic means? Public meetings may be conducted electronically as long as the public has adequate notice and access. A meeting can be closed to the public if a governing body goes into Executive Sessions. Executive Session are designed to allow a public body to have confidential discussions, but all decisions must be made in public. Journalists may attend most Executive Sessions, but cannot report or broadcast what is said. For a list of exempt meetings and reasons for Executive Sessions, see the Attorney General’s Public Records and Meetings Manual. What are the rules for keeping minutes? Public bodies must keep a record of their public meetings. Written minutes, audio and video recordings are acceptable. Minutes must include the members present, all motions, resolutions, votes taken and the substance of any discussion. How does the public enforce violations of the Public Meetings Law? If you believe that a public body has violated the Public Meetings Law, you can file a lawsuit in Circuit Court. If you believe that a public official has violated Executive Session provisions of the law, you may file a complaint with the Oregon Government Ethics Commission. Note: This summary is not intended to be complete and is not legal advice or an opinion of the Attorney General. For more information, see the official Attorney General’s Public Records and Meetings Manual.